You just might be missing out on these potent products. Capable of boosting the body’s ability to combat stress and overcome health issues, adaptogens are like Mother Nature’s secret superpower. 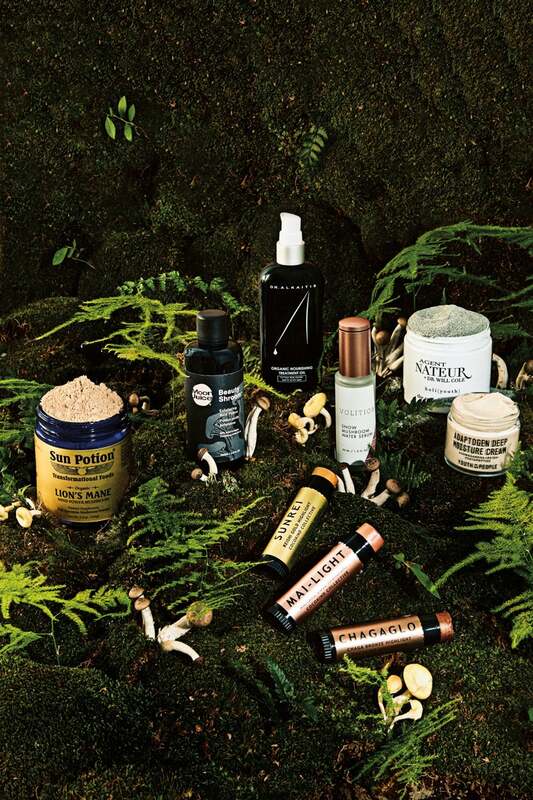 Already popular with wellness brands, the much-buzzed-about ingredients—such as ginseng, maca, and shiitake—are now cropping up in skincare and beyond. The medicinal mushroom lion’s mane has been used for centuries to improve memory and concentration, and even balance mood. Bound to be an immediate cult classic, Moon Juice’s new brightening toner is going to be in everyone’s medicine cabinet come fall. Launched in 1996, this OG oil has been the secret behind having a healthy glow ever since (thanks to the deeply nourishing Ashwagandha plant). The magical snow mushroom can hold nearly 500 times its weight in water, meaning it is incredibly hydrating in serum form. The ocean meets the land in this marine collagen and holy basil blend, which puts brain, hormone, and inﬂammation levels in check. A whole gang of miracle-making plants and herbs—including rhodiola and reishi—team up to calm stressed skin. Each shade channels a different adaptogen (from maitake to chaga mushrooms), with the added beneﬁt of healing mango seed butter and jojoba oil.